We’re all human, which means at some point in our lives, we are all going to make mistakes. Sometimes, it’s a mistake as small as picking up the wrong coffee order for your boss. Other times, it’s a mistake that could impact the course of your entire career. Sounds stressful, right? Well, it doesn’t have to be. Plenty of businesses have made monumental mistakes that could’ve caused them to shut their doors. Instead, they were able to handle the crisis effectively and bounce back stronger than ever. And the magic ingredient was the effectiveness of how the business communicated and managed the crisis. Take, for example, the Facebook crisis of 2018. 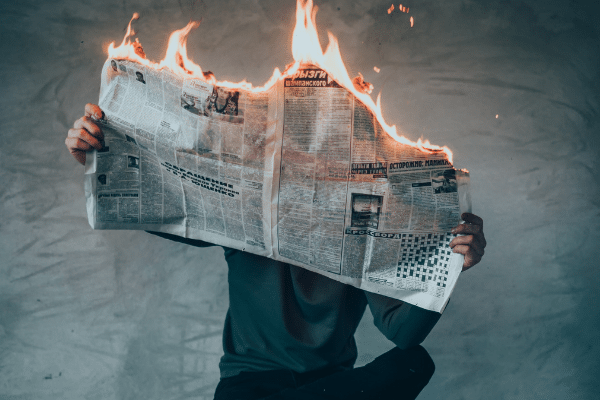 While this incident could’ve seriously jeopardized Facebook’s viability as a company, instead, they faced it head-on and took the appropriate steps to keep their followers informed and reassured. Regardless of how you personally feel about Facebook today, there’s no denying that they handled the crisis as gracefully as possible. If you’re a business owner, or even if you’re just an employee, being prepared for a crisis is critical. Below, we unpack a few ways to get prepared for a crisis, handle it while it’s happening and put barriers in place to prevent a crisis from happening in the first place. As with everything else in life and marketing, the first thing you need is a plan. A crisis management plan should consist of an overall strategy and an implementation policy that includes roles and responsibilities for specific team members. Each person should know their role in advance of any crisis. 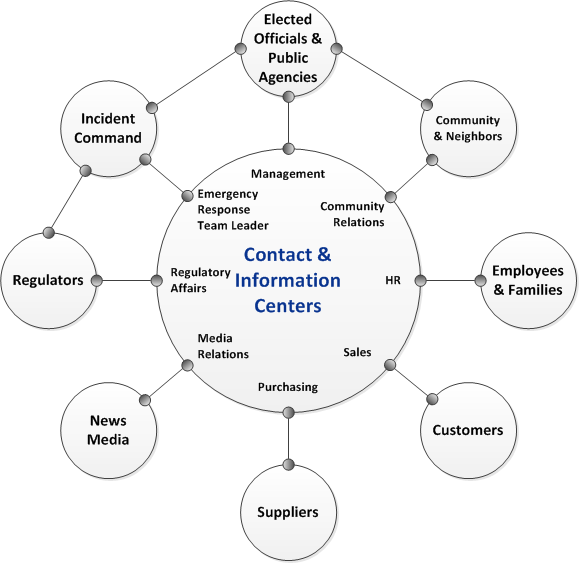 Take a look at Ready.gov’s extensive breakdown of the different audiences you need to reach as well as the flow of communication during a crisis. It’s a great place to start. But how do you create a plan for a crisis that hasn’t happened yet? Before you start going over every possible worst-case scenario that could happen to your business, take a step back and do a risk assessment. Get your leadership team together and begin listing any relevant threats or vulnerabilities that could impact your company. For example, if you sell products, you may want to include a potential product recall scenario. If you are active on social media, you should account for a blunder that spirals into a negative debate on your social media page. The key is to start talking through possible crisis scenarios and then discuss the necessary steps to take in order to resolve the crisis. Once you are in the middle of a crisis, it is absolutely critical that you respond quickly. The longer you wait to address an issue, the more time your customers have to take over the narrative and paint a negative picture of you and your business. The moment a crisis crops up, you should respond within 24 hours with clear, honest answers. Establish your designated communication channels ahead of time in order to acknowledge the distress the crisis has caused your customers. Let them know you hear their concerns and will rectify the situation. Pro Tip: Create pre-approved statements that can be quickly adapted and sent out or shared when needed. This allows for quick turn-around when a crisis hits and ensures everyone on your team is sharing the same message. If you already know what steps you will take to fix the problem, share that with your customers. Be as proactive and transparent as possible. Your customers will value your candor and honesty in the midst of a crisis. To help ensure you are on top of any potential crises, it is also a good idea to set up alerts for your business. That way, if any negative press or reviews pop up, you will be able to respond almost immediately. Additionally, you should always be keeping a close eye on any comments or reviews that are left on your website or social media channels. Stay tuned in to what your customers are saying about you and be responsive and receptive to their concerns or criticisms. Staying one step ahead of a crisis can be difficult. But, with the right plan in place and the right team to help you navigate through the uncharted waters, you’ll be able to make it out on the other side unscathed and better prepared for any future crises.